Unless you plan on driving your car until it’s a bag of bolts that literally falls apart in the middle of the road, there’s going to come a time when you want to sell or trade your car in for a newer model. To get the best bang for your buck – especially important if you need to use the proceeds of your sale as a deposit for car financing – there are certain things you can do to increase your car’s resale value, long before you plan on selling. Servicing your car regularly (every 10000km) will keep your car in tip tip shape and protect the resale value. If you’re trading your car in, vehicle finance companies will not want to take on a car that needs a lot of work. Would you buy a car that was dented and scratched, with a shoddy interior? Even if your car engine is in great condition, first impressions count. As far as possible, keep the interior and exterior of your vehicle looking ‘new’ to ensure a higher resale price. Some accidents are unavoidable, but developing a sense of awareness on the road can go a long way to preventing fender benders that may damage your car and depreciate its value. In addition, being a ‘heavy handed’ driver (revving the engine, overusing the clutch) can cause long term damage. Mileage is one of the first things that companies offering trade-ins and vehicle finance in South Africa check. A car with low mileage has a higher resale value than one with high mileage. Find out about the ‘cut off point’ at which mileage suddenly causes value to drop for your vehicle brand and model, and sell before your car reaches this limit. 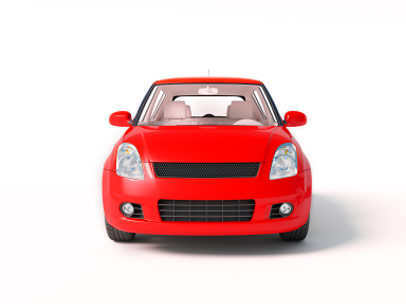 For more information on being approved for car finance with bad credit, contact us today.